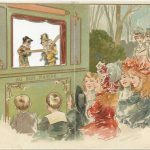 During the late 1800’s, the “fad” of card collecting captured the imagination of a nation. Illustrated business cards that advertised everything from pain cures to farm plows were eagerly snatched up and collected by folks young and old alike. The popularity of these cards changed the way businesses were launched; it shaped the way stores marketed their products; it even impacted the way service providers like dentists and barbers were forced to compete for the loyalty of local clients. I guess I’ve become one of those “old dogs” I used to see on antique row! 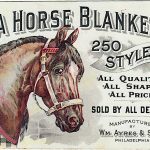 As I thought about the old junk shops and flea markets of my youth, and then the emergence of ephemera shows, trade card auctions, the TCCA, and finally, the online trade card market place, it became clear how far the hobby has come. 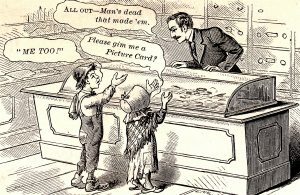 Don’t get me wrong, I like a LOT about the way the Victorian card collecting hobby works today. But I DO miss the sense of community I used to experience back in the days of face-to-face. Back when almost every new addition to my collection was embedded in a story, often accompanied with a hot or cold beverage, and was always closed with a handshake and a smile. Dave Cheadle launches Victorian Card HUB Blog and Website to serve the Hobby. I’ve been thinking about how the Trade Card Collectors Association (TCCA) drew people together, and the excitement of our early national conventions, and even the way we side-by-side plunged our hands into hot water for “Soaking and Salvaging” seminars. But as I got to thinking, it dawned on me that, if nothing else, maybe I could launch a website and blog to help generate some new excitement… and some of the old juice from the days when our hobby seemed so “fresh” –even “mind blowing” to those of us on the cutting edge of cataloging and research. The problem, of course, is that this whole “Social Media” world is all Greek to me. But I’m willing to give it a try, and to learn on the fly. Maybe you’ll get a kick out of taking the journey with me? Let’s see where it goes from here. Feel free to use the “SUBSCRIBE” form on the top right of this page, or send your email address to me if you want to be added to the HUB mailing list. You may also fill out the form on this site’s CONTACT page. Or just bookmark this page and keep coming back here from time to time to watch things grow! 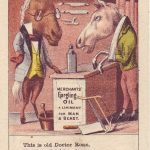 — Dave Cheadle began collecting patent medicine advertising cards as a bottle-digging teenager in the 1970’s. He started selling illustrated articles on trade cards to collector magazines in the 1980’s, and he joined forces with Russ Mascieri to form the TCCA in the 1990’s. 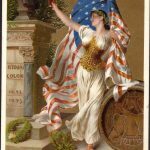 To date, Dave has published over 150 articles, a definitive price guide and historical reference, and several additional illustrated books about trade cards.